You may recall the 2000 movie, “Pay it Forward” directed by Mimi Leder. It starred Kevin Spacey, Helen Hunt and Haley Joel Osment and was based on the book by the same name written by Catherine Ryan Hyde. The storyline is that a young boy was inspired to make the world a better place after his teacher challenged his class to come up with an idea that would improve mankind. The student came up with the idea to ‘pay it forward’. The concept was to do a good deed for three people who then in turn did good deeds for three other people creating a ripple effect of good will and generosity. While this movie may have pushed the idea into the limelight, the concept of helping someone else is as old as time. Helping someone else not only benefits the recipient, but also benefits the giver. Think about the feeling you had the last time you did something for someone else for no other reason that to just be helpful. That feeling is empowering. Most often the deed done for another is something very simple. The thought counts here and it’s because you put someone else’s needs before your own. Examples of genuine kindness and compassion are all around us. Like a soccer game some years back between Australia and China. Two Australian players had collided leaving one lying motionless on the ground. As soon as China noticed the injury they kicked the ball out of play, so the trainers could tend to the injured player. When the ball was put back in play, Australia threw the ball to a Chinese player. What about something very current like the reality show, Extreme Makeover Home Edition. Every week residential construction companies rally huge teams of contractors to build a brand new home for a family facing hardship. Families are selected because they still try to help others in the midst of their own struggles. Okay, too big? 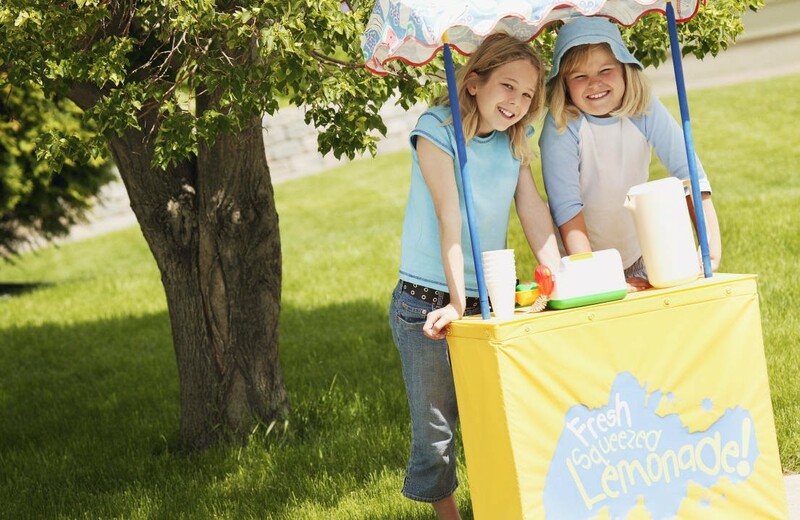 What about stories of average kids raising money with lemonade stands to support victims of natural disasters? What about someone in the drive thru lane paying the bill for the car behind them? What about a child ‘filling’ a box with blown kisses for a parent before they leave on a business trip? The point of paying it forward and random acts of kindness isn’t about how big or noteworthy. The point is that we have all been blessed in a multitude of ways and can use those blessings to help someone else. You may not be blessed with money, but are you blessed with love and support that you could brighten someone else’s day with a kind word? Occasionally you need to ‘empty your hands’ of what you have been given so that you can receive more. Our company has taken this approach with our program, ‘Awareness Works 4 U’. It’s really very simple. When you give us the opportunity to help you with a home loan, we ‘pay it forward’ with a donation to a charity of your choice when your loan closes. The charity uses this money to continue their efforts to support the people they reach. Those involved with the charity live, work and interact in their communities knowing they have a full circle of support. And on the ripples of support go on. We would appreciate your help in letting others know about our efforts. Alone, acts of kindness are often just single events. Working together we can create a wave of generosity that betters mankind. What organization would you like help supporting? We’d love to help pay it forward. This entry was posted on March 5, 2010 at 4:05 pm and is filed under All Articles, Awareness Home Funding, Personal Finances. You can follow any responses to this entry through the RSS 2.0 feed. You can leave a response, or trackback from your own site. What a great post. I have been a Pay It Forward fan for years now.